A mistake has been made. Risotto is not difficult. When I ask people about risotto the first thing they all most always say is “I love risotto!”. When I ask them if they’ve made it I’ve gotten an almost angry “What? Are you kidding?” to a furtive side-eyed, foot shuffling “Well, no.” The consensus is that it’s too difficult to make at home, they don’t have the cooking skills for that dish, it should be enjoyed in a restaurant on special occasions. Bah! Not true. If you can stir a pot and pay attention for a few minutes at a time you can make risotto. You should be making risotto. All kinds of it. It is such a comfort food, right up there with mashed potatoes and chocolate milk. (Seriously, every couple of years don’t you just have to buy one of the little containers with the brown cows on it, shake it up, and chug it?) There is no secret handshake, no closely guarded ancient recipe. 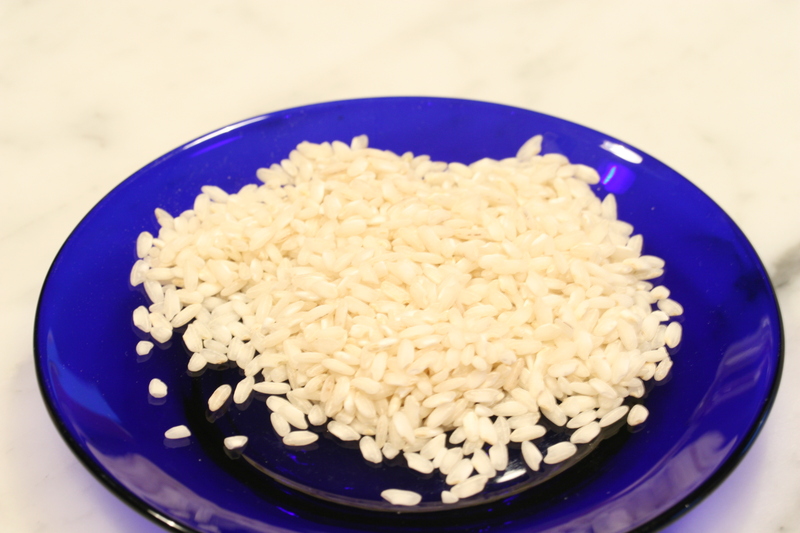 Buy the right rice, keep your heat at a slow simmer, and stir often. And yes, before you ask, this is another sq _ _ h recipe. It will be refered to only as butternut (code name: The Big B) so as not to incite a “Not another sq _ _h recipe! Let’s get her!” riot. We won’t say the “S” word, and Big B is in the house. Things are complicated these days. Life has gotten busier, faster, bigger. We are all so intent on flying around and through our lives as quickly as possible that we have books, television programs, and magazines devoted to telling us how to slow and simplify, classes to teach us to breathe, and therapists to force us to relax. While they have a point, they seem to forget how much we and everyone else expects us to do in a single day. I totally understand. I know, I get it. There are times that I worry over worrying. Craziness abounds. But I’ve got your back. At least for this one small recipe. This is minimum effort, maximum results. It tastes like you spent a long time stirring and seasoning, channeling an italian nonna from long ago. Ha! E’ la magia! You might even have a bit of time to breathe. It’s fall. Not just the beginning, leaves are turning, crispy apple, time to get another blanket fall. Fall as in warm scarfs, the first snow has already fallen, Thanksgiving is almost here fall. Some of us are already mourning the summer’s bountiful gifts and getting used to turning on the oven every other day to cook. The fruit and produce sections of the grocery are decidedly muted with the autumn colors of deep red, and green and orange. Apples and pears, hard-shelled squash and potatoes abound, calling out for roasting. And you know how I feel about roasting. Happy faces all around! All these lovely things to chop and season and stuff into hot ovens, making your whole house smell delicious and filling your belly with soft warmth. Late fall has always been a particularly lovely time, a celebratory time. The harvest is in, the cupboards are filled, and we start to gather and settle ourselves. I seem to be home more now, and thoughts of the coming holidays and gathering of friends and family are occupying my thoughts. While I’m curled on the sofa, planning and dreaming, a bowl of this pear crisp, warm and fragrant is a fabulous thing to be holding. Pears are at their best right now, and this crisp shows their creamy, melting side off. If you make this once, I’m sure you’ll make it again. I have pears on the counter again, waiting their turn.